The early 1980's brought a new wave of miniaturized electronic video games to market. These brightly colored florescent screen wonders seemed magical at the time and bridged the gap between arcade and home gaming. My mini-arcade is a tribute to those games. 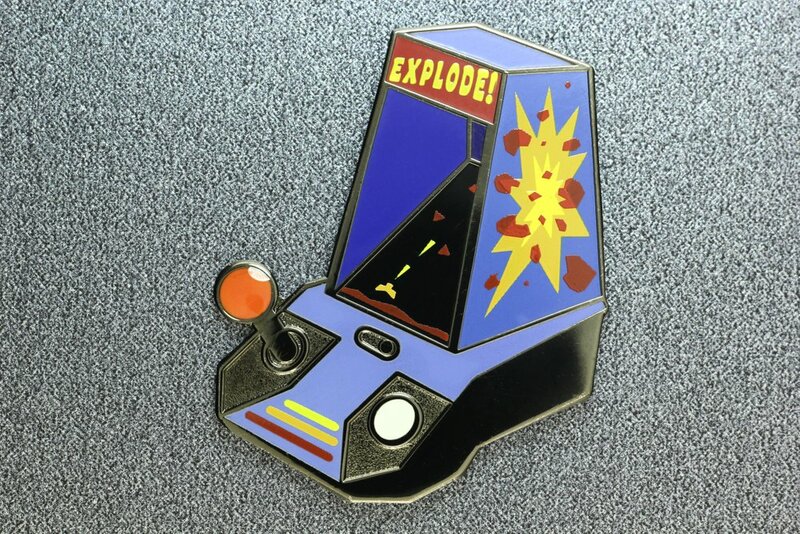 Features a tiny space battle and colorful cabinet art, screen-printed on top of hard enamel. Measures 1.5" tall with black nickel finish, hard enamel and a three color screen print for the details. Comes to you carded and bagged.